Bring on the best strappy style with Neema! 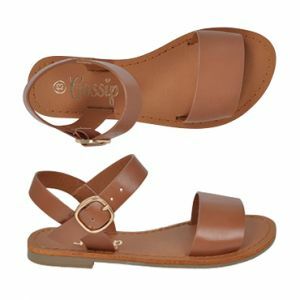 With a trendy multi-strap style, and featuring a delicate strap around the big toe, Neema is a comfy slip-on sandal. These are perfect for hot weather! Neema is one of the latest in bridal flats and is perfect for flower girls. Love the style? We don’t just do it for girls! You could grab Strapped for your bridesmaids too.